If you will allow this old Brit to recognise the 4th July! Speaking of Brits, the following was sent to me by Neil, a close friend from my previous days living in South Devon, England. Dogs needs are less complicated than ours, that is for sure. Great share from your friend, Paul! And less unfair! Yes, it was a great image that Neil sent across. HAPPY INDEPENDENCE DAY PAUL and JEAN!! Thank you, Marg and your ‘other half’. The quotation says it all! Thank you, Lynn. Lovely to hear from you. Thank you, Colette. That means a lot. Just been across to your blogsite, which I love by the way, must follow you, seeing if you say if you live in England but couldn’t quickly confirm that. For I do know that we Brits turn up in the most strangest of places! Live in UK in summer. I am citizen of UK (born) and also of Canada. That sounds like a nice combination. I have known one or two people go back to the UK, and it was always for personal reasons rather than any specific preference. Yes… I got married and my new husband did not want to live in Canada, so yes, you are right. And Colin’s book is fun! Paul, how delightful to read your response. Thank you so much. A very warm welcome to this place and hope to see you many more times in the future. These are times indeed when so many of us feel drawn to connect, to share deeper feelings perhaps, with like-minded folk right across the world. Best wishes, Paul H.
No question. Indeed, one might ‘read’ that picture at many levels. From the level of providing a smile for the day all the way through to a very profound observation on life itself. I ‘ll go straight for the profound perspective! As I recently noted on another blog, I cannot recall anybody from history who became famous for their material possessions. In fact, I recently read an article written after an individual had surveyed a few thousand gravestones… and they drew the same conclusion. There was not a single epitaph which alluded to a material possession. 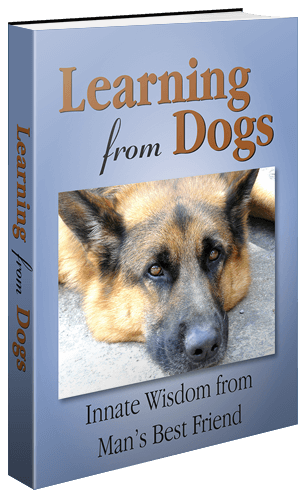 Dogs know all that intuitively, so why does our superior (?) mind have trouble grasping such a simple perspective? Colin, unwittingly you have offered a fabulous introduction to a post I’m preparing about the link between inequality in societies and many social ills. Thank you! Perfect for today. Thanks I’m keeping this one for my screen saver. Oh, that’s wonderful. I’ll make sure Neil hears that! Thanks for the well wishes and for the smile. It pretty much nails the differences between pets and their uprights. Yes, that old picture worth a thousand words thing!